The Tutor/Mentor Institute, LLC (T/MI) seeks to recruit volunteers from every profession and industry in Chicago who can model different career aspirations than are normally modeled in high poverty neighborhoods, and who can provide coaching, mentoring and support to help kids succeed in school and move to college, then careers. See full size version of this graphic. 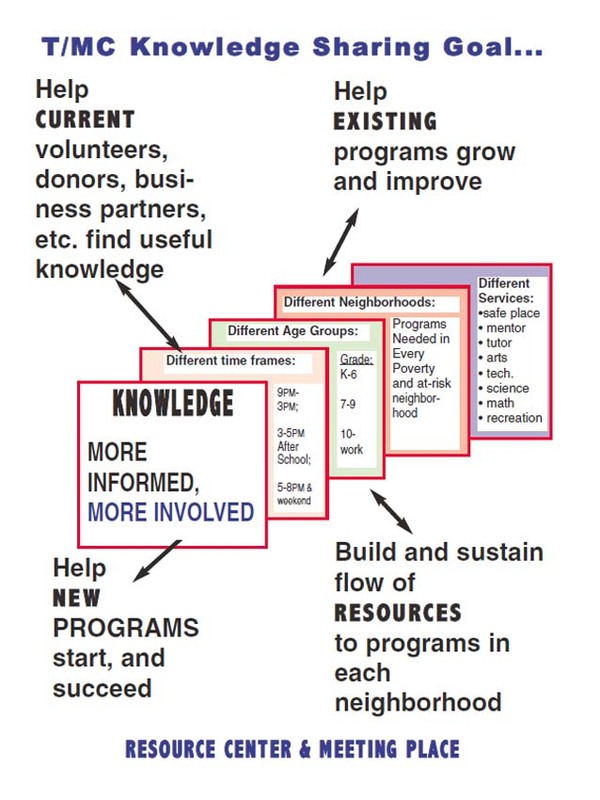 This video shows animated view of this graphic, which was created by intern in late 2000s. Click this link to see strategy map that illustrates this concept. The articles in this section are intended to illustrate how volunteer-based tutor/mentor programs serve many important and strategic benefits to different industry sectors. Our aim is that leaders from every slice of this leadership pie become owners of the strategies on this web site and in these essays.